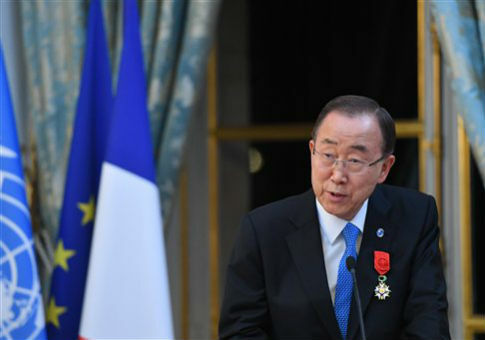 United Nations Secretary-General Ban Ki-moon told the world on Friday that toilets save not only lives but also money. Ban made the statement in preparation for World Toilet Day, which will take place on Saturday. The point of this holiday is to draw global attention to the fact that most people in the world do not have access to basic sanitary items, the Associated Press reported. While stressing the importance of sanitation, Ban cited that 17 percent of workplace deaths are caused by disease transmission, which largely comes from poor sanitation. "Toilets play a crucial role in creating a strong economy," Ban said in a statement. "A lack of toilets at work and at home has severe consequences, including poor health leading to absenteeism, reduced concentration, exhaustion, and decreased productivity. About 17 per cent of all workplace deaths are caused by disease transmission at work." The United Nations also said that about 2.4 billion people worldwide lack the access to this basic necessity. This entry was posted in Issues and tagged United Nations. Bookmark the permalink.